This weeks hold the promise and any possibilities you desire all that is required is action. I type this at 7am after 40 gym and swim session as I have committed to get myself healthier .what you want ? Have you made an action plan ? 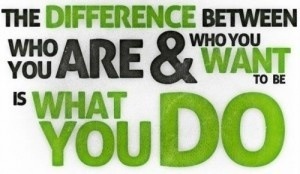 “"The difference between who you are and who you want to be is what you do"